Dyslexia Action is now solely a training provider and no longer provides advice, tuition, and dyslexia assessments. Find an assessor or tutor, search our Guild Members directory. Dyslexia Action Shop provides resources and materials for parents, carers, teachers and teaching assistants. Dyslexia Action Training provides online training courses for teachers, teaching assistants and support tutors. 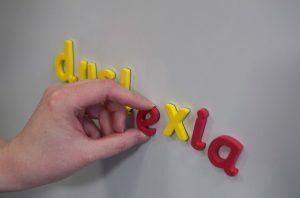 The Dyslexia Guild is the professional membership organisation for specialist teachers and assessors and support tutors. Please note that Dyslexia Action the charity (Dyslexia Institute Ltd) went into administration on 13 April 2017 and all centres were closed. RSM Restructuring Advisory LLP were appointed as administrators. Please contact RSM with any queries regarding business with the charity prior to this date. Tel: 0203 201 8000.